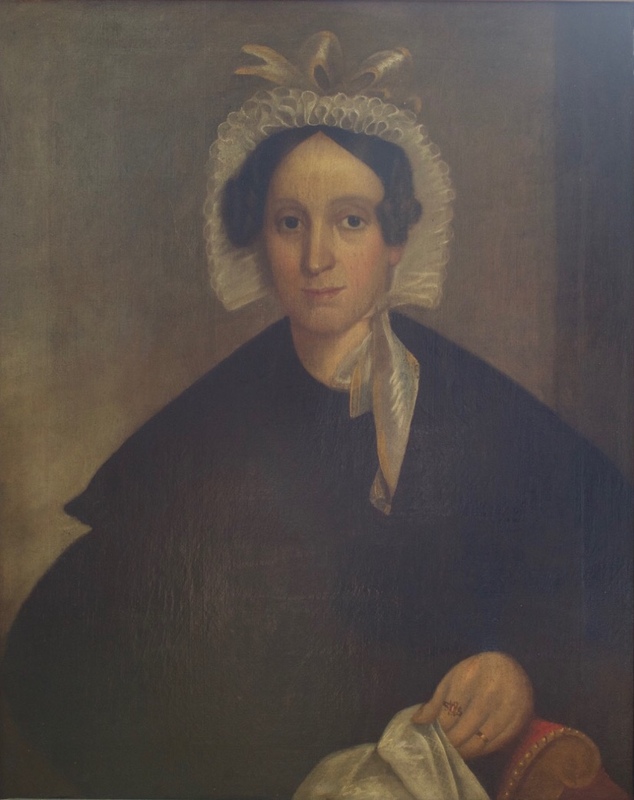 This portrait of Martha St. John Reese is a companion piece to her husband David F. Reese’s portrait posted earlier. 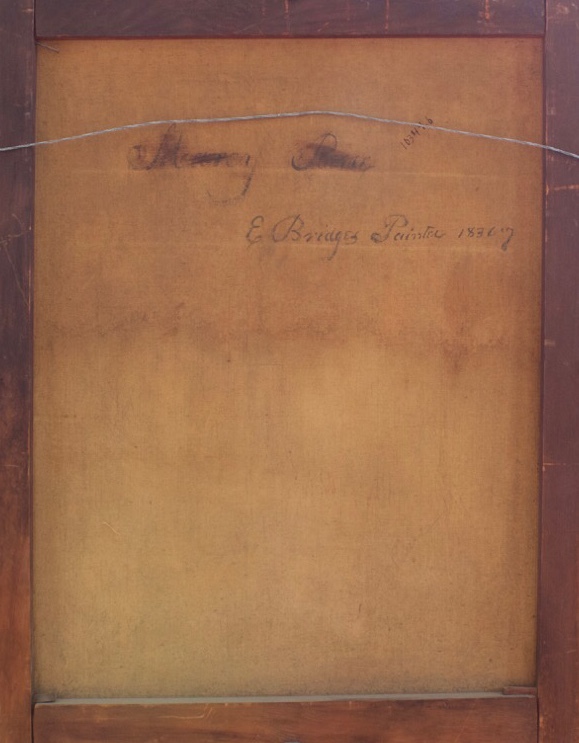 It is also housed at the Schenectady County Historical Society and painted by Earl Bridges of Albany. Martha was David’s first wife; they married in 1829, they had 6 children, and she died at age 39 in 1844. David married 3 more times: to Susan Quackenbush in 1845 (one child); to Margaret Clute in 1854; to Margaret Viele VanSlyck (widow) in 1866.